Walt Disney World has made it possible for people with all kinds of abilities to visit and experience the magic. One of the things that makes my visits easier is that Disney has implemented ways for you to stay in your wheelchair to experience certain attractions if you are unable to transfer. I have found the accessible ride vehicles very easy to use with minimal assistance. Below is a rundown of these attractions at the Magic Kingdom. The Walt Disney World Railroad is accessible through either the Main Street or Frontierland stations. Just let the Cast Members know you need to use the ramp to board the train and they will lead you to the wheelchair seating. The Magic Carpets of Aladdin has an accessible vehicle but not all wheelchairs can fit. My chair is rigid so it wouldn’t work but if you have foot rests that move it may work. The Cast Members have a template that they use to test the size. Just ask to see it before you get in the line. The Jungle Cruise has a boat with a ramp and a lift. Loading is really easy and the ride is pretty smooth. 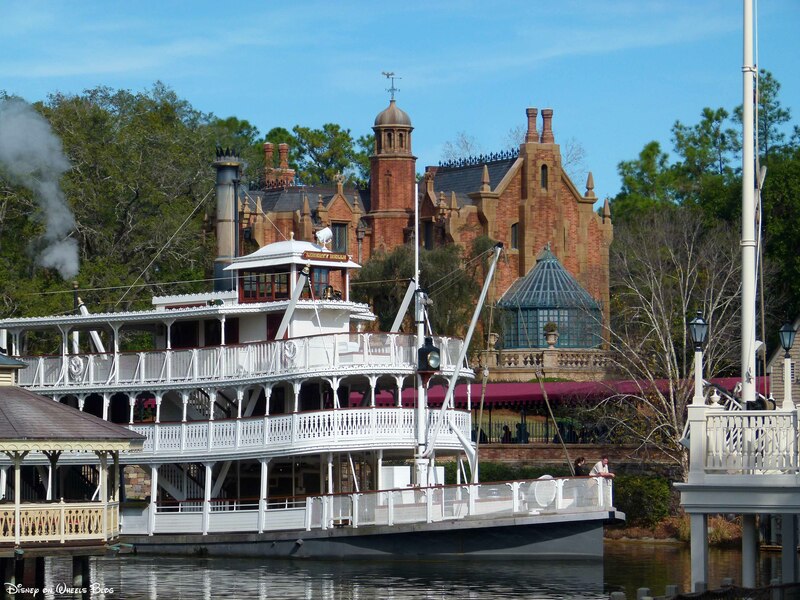 To ride the Liberty Square Riverboat enter through the exit located to the left of the attraction. Once you are at the boat the Cast Members will place a ramp down for you to ride. it’s a small world has a separate wheelchair entrance that is located next to the exit of the attraction. They also have a boat that is just for wheelchairs. They place rubber bumpers in front of and behind your tires so you stay secure. Sometimes there is a wait for the wheelchair boat to cycle through but it is not usually very long. The Many Adventures of Winne the Pooh accessible vehicle lets you roll right in. Only one other person can ride with you so if you are in a larger party they will have to ride in another hunny pot. You can choose whether or not to bounce with Tigger, which moves the vehicle slightly but there are no major bumps or jerks. 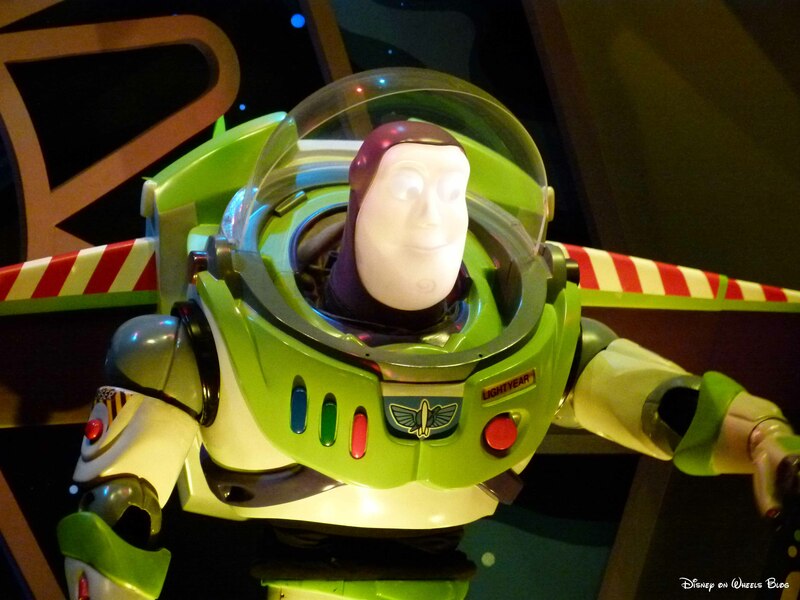 Buzz Lightyear’s Space Ranger Spin has a special ride vehicle with a ramp that you and one guest in your party can use. The Cast Members will either slow down the ride or bring it to a stop to help you get into the ride vehicle. Make sure to put on your brakes because there isn’t any other harness holding down your wheelchair. Stitch’s Great Escape has special wheelchair seating in the back and you can still experience everything. Whether or not that is a good thing is up for debate but a Cast Member will help you lower the shoulder harness so you can hear and smell it all. 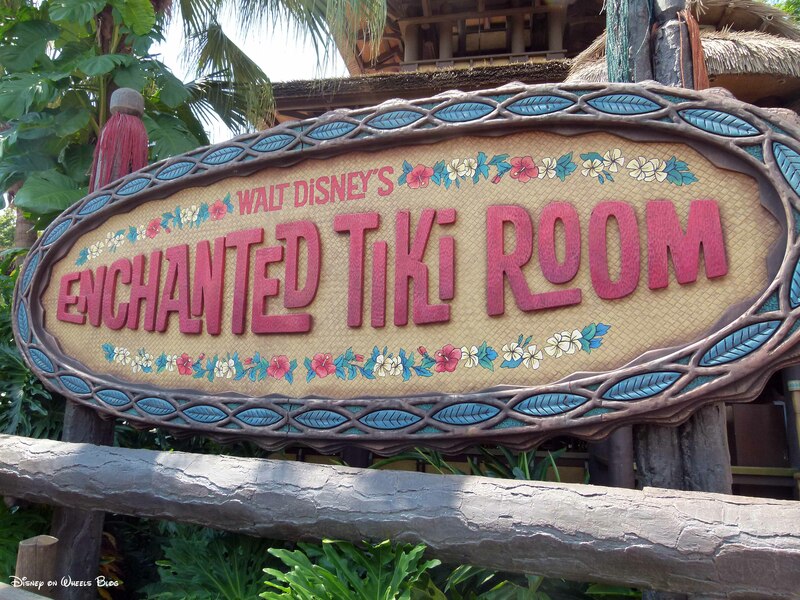 Shows like The Country Bear Jamboree, Monster’s Inc Laugh Floor, Walt Disney’s Carousel of Progress, Mickey’s Philharmagic, The Hall of Presidents, and the Enchanted Tiki Room have special wheelchair seating. It is usually in the back of the theater but at the Enchanted Tiki Room and the Country Bear Jamboree you sit up front. Just alert a cast member when you arrive and they will point you in the right direction. There is also special wheelchair seating at the Magic Kingdom to view the parades. You can view my tips for parade viewing in a wheelchair here. 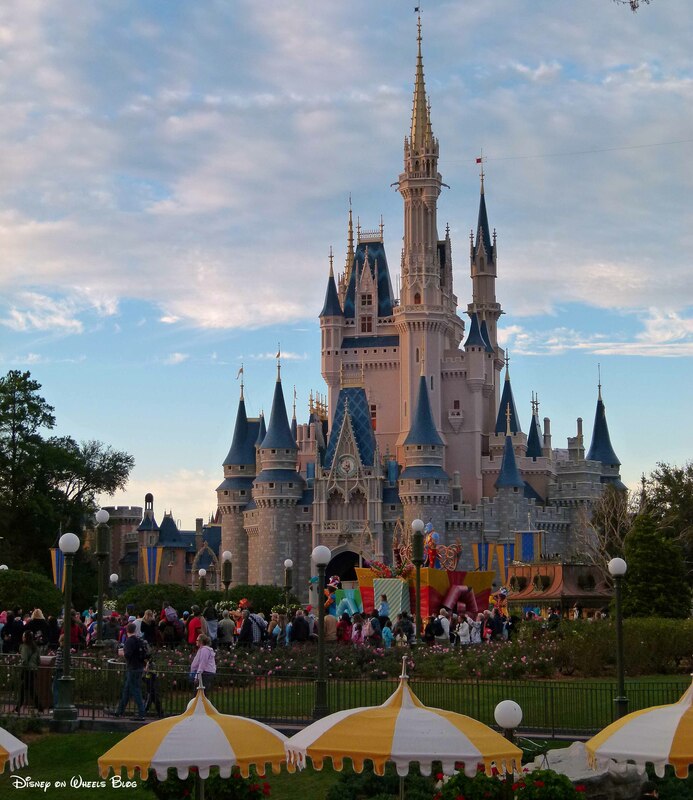 For more information for you can visit the Walt Disney World site for Guests with Mobility Disabilities and view the Guide for Guests with Disabilities for the Magic Kingdom online. You can also e-mail me at disneyonwheels(at)gmail.com if you have any questions.